ULI Toronto is a non-profit real estate and land development organization supported by over 1800 public and private sector members. Our mission is to promote leadership in the responsible use of land to create sustainable and thriving communities. We provide our members with independent forums for discussion and debate about city building issues and best practices. ULI Toronto curates opportunities for our members to be challenged and provide forums for discussions and debate around difficult city building issues and the responsible use of land. ULI Toronto organizes and curates more than 75 events and programs annually including panels, tours, workshops, city exchanges, networking events and symposiums. Our programming is conceived through the lenses of mobility, technology and placemaking. As one of the largest district councils and part of a global network with over 42,000 members, ULI Toronto brings together industry leaders and emerging leaders from across the region and around the world to share their experiences and insight. ULI Toronto inspires local communities and the next generation of city builders through research, mentorship programs, leadership training and high school programs. ULI Toronto celebrates the achievements of their members and the Greater Toronto Horseshoe Area in order to elevate Toronto’s global presence and influence around the world. We host local social and networking events to foster professional collaboration as well as friendships. ULI Toronto is pleased to announce the release of our FY18 Annual Report. ULI Toronto is pleased to announce the release of our FY17 Annual Report. ULI Toronto is pleased to announce the release of our FY16 Annual Report. Richard Joy is the Executive Director of ULI Toronto. Since his arrival as the first full-time Executive Director in 2014 the organization has doubled its membership and its staff and significantly increased it’s brand recognition throughout the Greater Golden Horseshoe. Key initiatives that Richard has implemented include the Urban Leadership Program, Urban Plan Program, Meet The Chiefs dinner and two regional Symposiums. 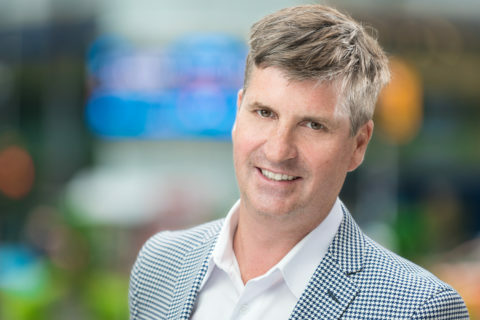 Prior to joining ULI, Richard served as the Vice President Policy and Government Relations at the Toronto Region Board of Trade as Director of Municipal Affairs and Ontario (Provincial Affairs) at Global Public Affairs, a leading Canadian Government Relations firm. Richard’s extensive public policy knowledge and experience comes from years of service at Queen’s Park and Toronto City Hall, where he was the Senior Policy Advisor to the Minister of Municipal Affairs and Housing, responsible for the public policy development for the City of Toronto Act. Richard received his Bachelor of Arts in History from Carleton University. He currently sits on the Community Hubs Advisory Group for the Government of Ontario and the Advisory Committee for Ryerson’s Centre for Urban Research and Land Development. Alexandra Rybak joined ULI Toronto in 2005 as its founding staff member, working with senior real estate leaders in the Toronto region to expand the ULI into Canada. Alexandra oversaw the creation and operations of all of ULI Toronto’s committees, and executed marketing and events to increase the organization’s profile to Toronto’s real estate development community. Today she continues to build relationships with members and key stakeholders to deliver valuable industry programming. In her current role, Alexandra manages several initiatives and committees that serve ULI Toronto’s 1800+ members with a focus on community outreach. She oversees Technical Assistance Panels (TAPs) which provide multidisciplinary advice to local governments, public agencies, and nonprofits facing complex land use issues. Alexandra also supports the Curtner Leadership Program and drives the UrbanPlan program in Toronto. Alexandra graduated from Carleton University with a Bachelor of Arts in Art History/Architecture and holds a Certificate in Communications from the University of Toronto. 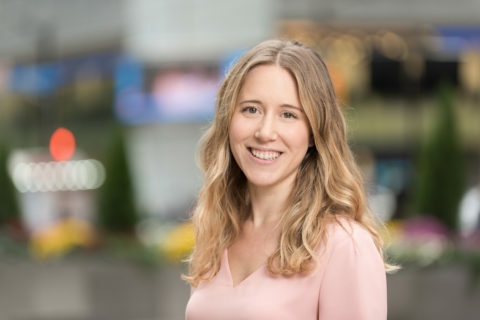 Erin Carroll joined ULI Toronto in 2012 as it’s second employee and has worked in many roles since then, including events, communications (website, emails, social media), volunteer coordination, committee liaison and office administration. Erin’s current role includes processing of accounts payable and receivable, annual sponsor liaison, and Mentorship Program coordinator. Prior to her work with ULI Toronto, Erin worked for the Stratford Festival as the Administrative Assistant for the Marketing and Sponsorship Department (Toronto-based) and at Orchestras Canada as the Membership Coordinator. She has volunteered extensively for the Parent Council of Runnymede Public School and was the Coordinator of Time for Play Nursery School. 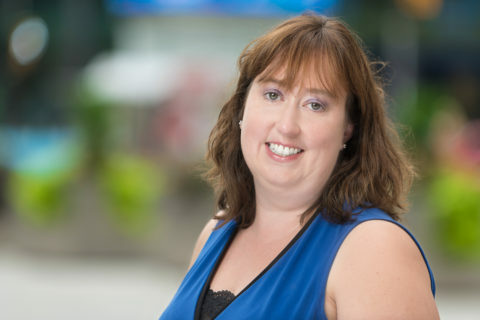 Erin has an Honours Bachelor of Arts, Combined Music & Psychology from the University of Windsor, an Arts Administration and Cultural Management Diploma from Humber College and a Certificate in Fundraising Fundamentals from the Association of Fundraising Professionals. Lauren Rodgers joined ULI Toronto in 2016. Since then Lauren has taken an active role in the development, implementation and execution of over 75 yearly events. 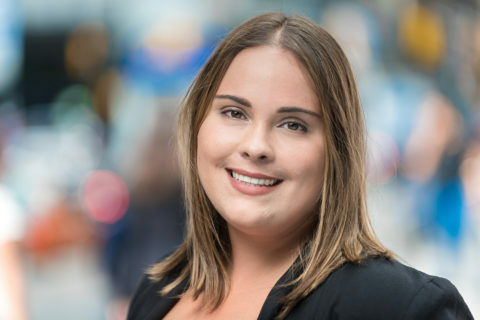 Lauren works with staff, vendors and volunteer committees to ensure all programs and events run smoothly and liaises with various stakeholders in Toronto’s real estate development community to elevate the conversation on the responsible use of land. Prior to joining ULI, Lauren was an Events and Marketing Associate at Informa Exhibitions working on social media, marketing, volunteer management and the event coordination for large scale events such as Art Toronto and the Artist Project. Lauren is passionate about city building, creative place-making and the intersection of arts and culture. Lauren has served on the Board of Directors Art City in St. James Town since 2016 on the events and fundraising committee. Lauren holds a B.A, Honours from the University of Guelph as well as a post- graduate certificate in Arts Administration and Cultural Management from Humber College. 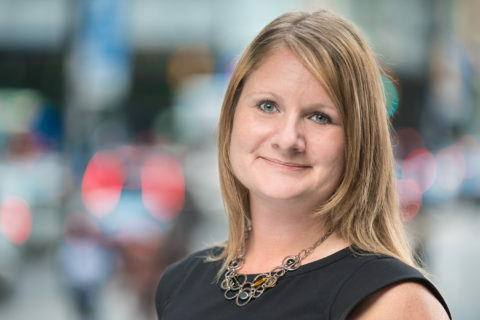 Jen Sapkowski joined ULI Toronto in 2017. Jen supports the work of the ULI Toronto Communications Committee as well as ULI Toronto’s marketing and communications initiatives, including website, design, and social media. Prior to joining ULI, Jen was volunteering with Art Spin, a non-profit curator of bicycle-led art tours around the city as a Marketing and Communications Coordinator. She has also volunteered with the Toronto International Film Festival for over five years and enjoys exploring the city on her bike. Jen holds a B.A. Honours from The University of Toronto as well as a post-graduate certificate in Public Relations & Communications from Centennial College. 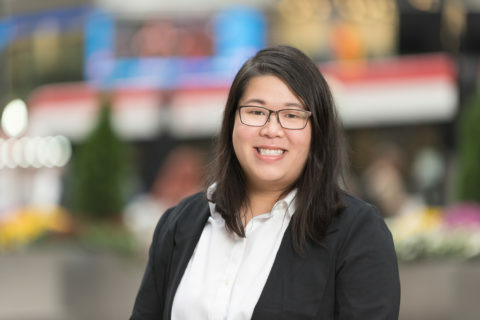 Denise Ng joined ULI Toronto in August 2018 to continue her interest and passion in events and sustainable land use and development. As an Events Assistant, Denise supports ULI Toronto’s programing and events initiatives. Denise is a graduate from the University of Toronto, Mississauga, where she received her Bachelor of Arts in Communications, Culture, Information and Technology with minors in Geography and Environmental Science. Denise has been an avid volunteer for organizations such as the City of Toronto’s Special Events and for the Toronto International Film Festival. She also has experience working for various nonprofits; including Toronto International Film Festival and the Mon Sheong Foundation. Outside of her work at ULI, Denise enjoys going on long walks and hikes with friends and family, travelling, and exploring new food around the city.